April 21, 2016 proved to be an important day for the recently concluded Truth and Reconciliation Commission (TRC). 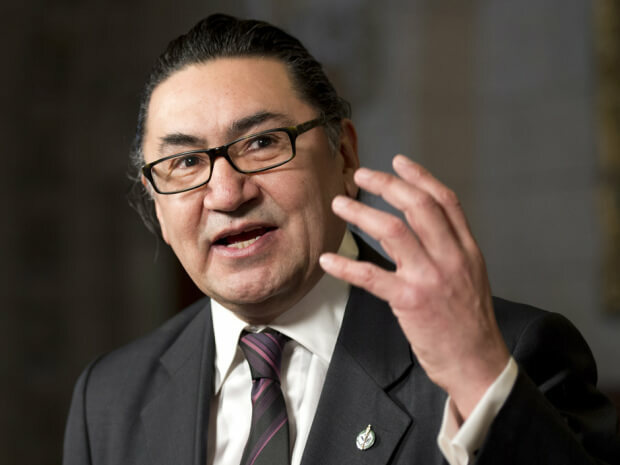 In the House of Commons, Romeo Saganash, Member of Parliament for the Western Quebec riding of Abitibi–Baie-James–Nunavik–Eeyou, tabled a piece of legislation calling for the implementation of one of the key calls to action from the TRC: the adoption of the United Nations Declaration on the Rights of Indigenous Peoples (UNDRIP) into Canadian law. Saganash’s Bill C-262, as it is called, has the potential to revolutionize the way that government and private sector organizations would interact with Indigenous Peoples in Canada. The adoption and implementation of UNDRIP would provide a legislative framework for how the future relationship between Indigenous Peoples and the Canadian government would function. Not only would the bill impact First Nations, Métis, and Inuit relations under the relatively new Liberal government, but it would ensure a lasting legacy that could not be easily overturned by subsequent governments. For Saganash, the tabling of Bill C-262 represents his being able to finally “complete the circle.” The Member of Parliament has a long history of working towards a renewed nation-to-nation relationship between the Canadian government and Indigenous Peoples. After extensive work with The Grand Council of the Crees, Saganash spent 24 years working on the creation of the UN Declaration, from 1984 to its 2007 adoption by the UN General Assembly. Since 2011, he has served with the New Democratic Party (NDP), and has already tried to pass the similar Bill C-641 in the House of Commons. Despite the previous Conservative government’s superficial “endorsement” of UNDRIP, Saganash’s bill failed to acquire the proper endorsement for it to pass second reading. The more recent bill has the potential to fare better; in Prime Minister Justin Trudeau’s Mandate Letter to the new Minister of Indigenous and Northern Affairs, he considers the implementation of the UN Declaration to be a “priority.” When asked about the tabling of his new piece of legislation, Saganash noted that this would be the “first true test” of how seriously committed the Liberals are in achieving a renewed nation-to-nation relationship. Among the fundamental principles of UNDRIP is its repeated insistence on Indigenous Peoples’ right to free, prior and informed consent (FPIC) on any project that would directly affect their communities. While this right would extend to any administrative and legislative decisions that would affect Indigenous communities, the adoption of Saganash’s bill and the implementation of FPIC mechanisms would force non-Indigenous industry and government to higher standards when consulting with, and accommodating for, the wishes of Indigenous communities. Particularly for communities who are dealing with Canada’s many ongoing projects of resource extraction and transportation, the signing of FPIC legislation could be a means for Indigenous Peoples to access more equitable terms and more active involvement. Of course, for many communities that face the risk of extreme environmental degradation in their communities as a result of such resource projects – for instance, the dozens of Indigenous communities across British Columbia and Alberta whose watersheds will feature newly built pipelines from the tar sands over the coming decades – some may opt to exercise their FPIC right to say no. While the bill still has a long way to go before it comes to fruition, Saganash has made one thing clear about how Articles 19 and 32 of UNDRIP – which deal with the duty to obtain free, prior and informed consent from Indigenous Peoples – would be enacted. Before providing any sort of specifics, such a bill would require extensive consultations with both Indigenous and non-Indigenous people to ensure that the bill would be just in its application. While this bill seeks to put power back into Indigenous hands, and works to undo some of the colonial injustices of the past centuries of the Canadian government’s treatment of Indigenous Peoples, Saganash explained that he is deeply committed to a harmonious relationship between Indigenous and non-Indigenous people, both in his riding and across the country. The bill, Saganash explained, would bring Canada in line both with international standards and its domestic duties with respect to the recent TRC proceedings. Saganash will be travelling across the country to a variety of public information events about Bill C-262 over the course of the spring and summer. More details can be found on his website. This article was originally published at Northern Public Affairs. It has been re-published at IC with permission.